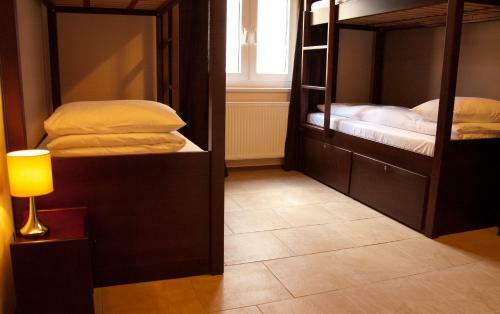 Hostel Orla in Lublin is an Inn with 8 Rooms. 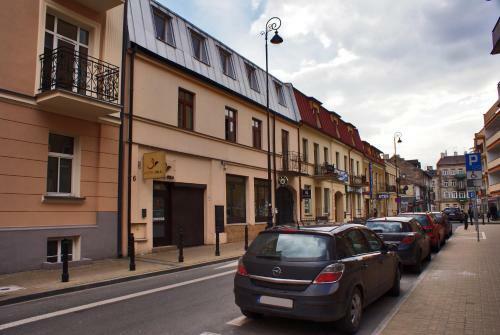 Hostel Orla is located in the centre of Lublin, 500 metres from Litewski Square and 900 metres from the Cracow Gate, the entrance to the Old Town. It offers free Wi-Fi, tea and coffee. The rooms are simple and decorated in fair colours with contrasting dark furniture. Each comes with a private bathroom. 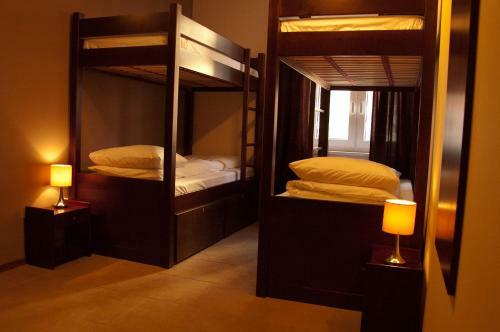 The private rooms are equipped with a flat-screen TV, and the dorms are provided with lockers. Guests can prepare their meals in the common kitchenette, which comes with a microwave, a fridge, an... electric kettle and kitchenware. There also is a shared hairdryer and ironing facilities. 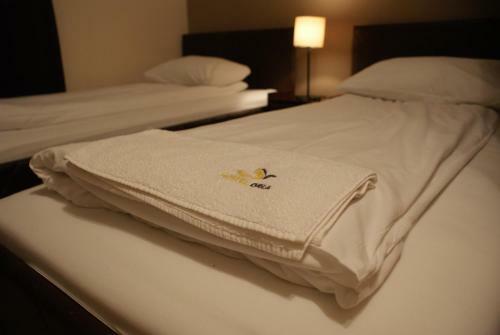 Linen is provided, while towels can be rented. The staff can provide information on the local sightseeing attractions and events. Tourists and cultural guides are available. DT Galeria Centrum Shopping Centre is 500 metres from Hostel Orla. Lublin Główny Bus Station is 1.4 km away. 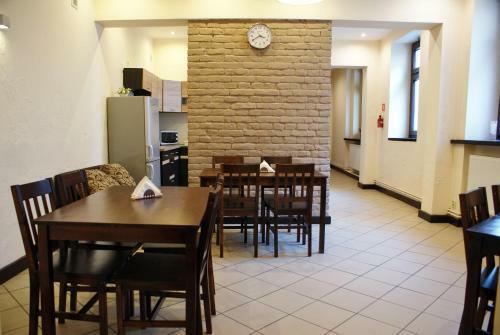 Hostel Orla is located in the centre of Lublin, 500 metres from Litewski Square and 900 metres from the Cracow Gate, the entrance to the Old Town. It ...offers free Wi-Fi, tea and coffee. The rooms are simple and decorated in fair colours with contrasting dark furniture. Each comes with a private bathroom. The private rooms are equipped with a flat-screen TV, and the dorms are provided with lockers. Guests can prepare their meals in the common kitchenette, which comes with a microwave, a fridge, an electric kettle and kitchenware. There also is a shared hairdryer and ironing facilities. 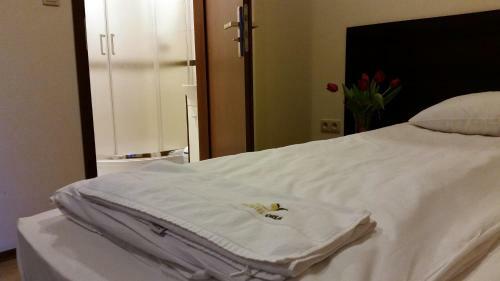 Linen is provided, while towels can be rented. The staff can provide information on the local sightseeing attractions and events. Tourists and cultural guides are available. DT Galeria Centrum Shopping Centre is 500 metres from Hostel Orla. Lublin Główny Bus Station is 1.4 km away. When would you like to stay at Hostel Orla? Children and extra beds One child under 3 years stays free of charge when using existing beds. There is no capacity for extra beds in the room. Supplements are not calculated automatically in the total costs and will have to be paid for separately when checking out.